Urban photography is up there as one of my favorite types of photography to shoot. 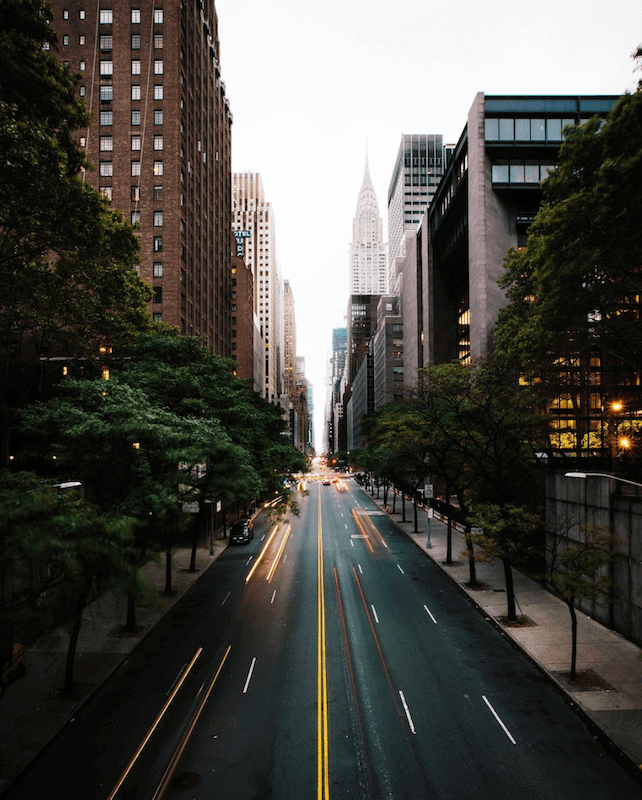 A couple weeks back, I had the opportunity to travel with some incredible photographers to document some urban photography in New York City. During our stay we ended up shooting a variety of urban landscapes, portraits, and lifestyle photos. We all have different styles of photography so I thought it would be cool to see how we captured the same spots differently with different urban photography camera setups. I’ve been to NYC so many times before, but I never really got the chance to explore New York from a photographer’s point of view. This trip I really wanted to capture NYC and I was fortunate enough to be able to work with B&H Photo and Video. Izzy and the B&H team were incredibly welcoming and let me borrow some of the best urban photography gear for my weekend travels. 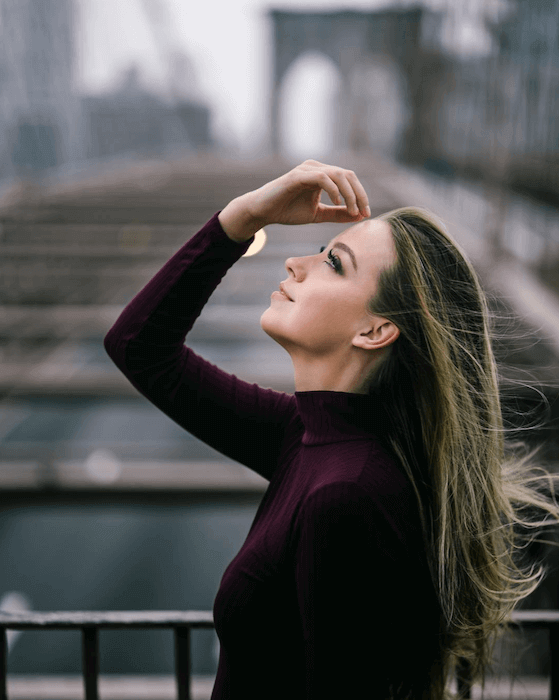 The gear I came to NYC with was the Sony A7 iii camera body and the Sony 85mm f/1.4. I had the Sony Zeiss 16-35mm f/4 as well, but I knew I wanted to borrow the Sony 16-35mm f/2.8 G-Master from B&H so I used the G-Master for the weekend instead. I was so impressed with the lens and it rarely came off the A7 iii body. At the B&H store on 9th, I also rented the 24mm Sigma from B&H because of the recently released Sony 24mm f/1.4 G-Master. The 24mm Sony G-Master lens is a lens that I want to buy, so I chose to try the Sigma to see if the focal length was right for me. 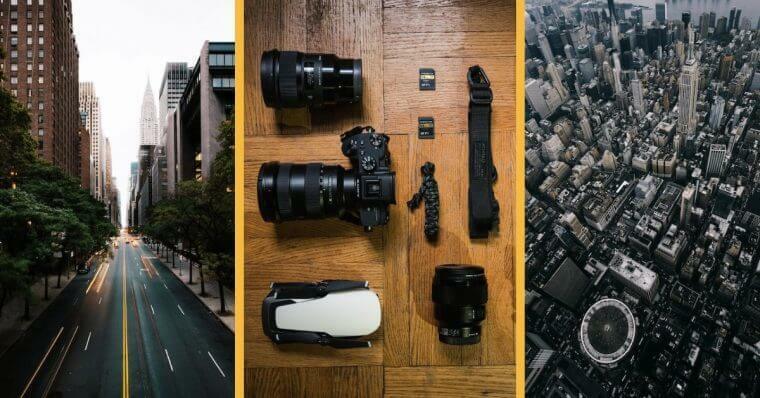 As I discuss some of the type of urban photography photos we took in NYC, I’ll be showcasing the photography gear that some of the others were carrying that trip and some of the gear they used to achieve the different types of urban photos. Landscape photography in NYC is an urban photographer’s dream. With all of the skyscrapers, people, and cars, you have so much to capture. For landscape photography we had some spots in mind that we wanted to go to. This is one of the places that I had talked about as a must-see New York photography spot before, but the Tudor City Plaza was one of the stops on the trip. This shot down below was shot by my friend @edirenzo, definitely check out her Instagram feed for some more New York City photos from the trip! 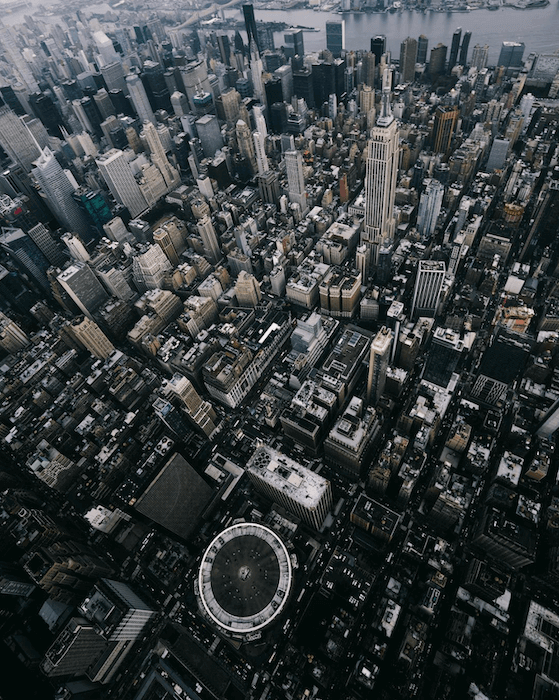 Another great landscape photography experience was through FlyNYON where some of the members of the group had the chance to check out New York City from above. Here are some of the images that @jmacdonaldd captured over Manhattan. The flatiron building is a staple when you go to NYC. 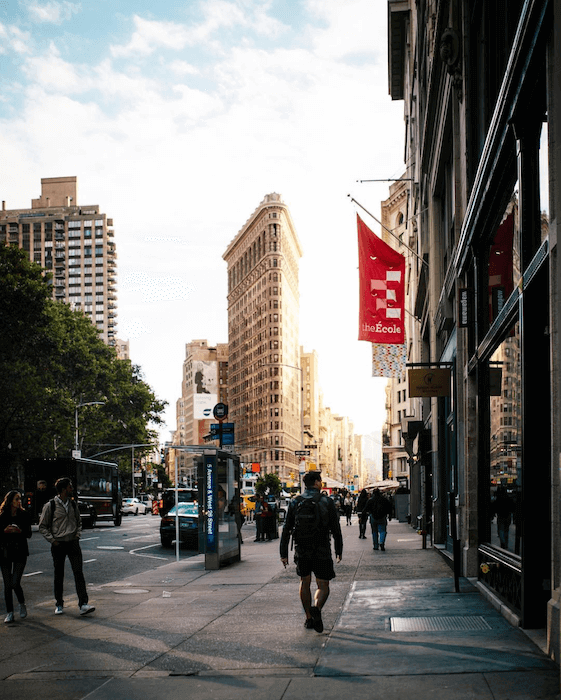 The Soho area in general is just a beautiful place to be and document, but the flatiron building was a photo spot that we couldn’t turn down. Here is another photo that @edirenzo captured there. Taking portrait photos in urban environment adds such a cool element to the image. The moment we got to NYC we were pumped to use our 85mm lenses. During our weekend trip, we planned out some of our portrait shots. Utilizing the light, the environment, and the urban NYC scene to our advantage. I’ve added some urban portrait photos that we captured over the weekend. Most of the photos were taken with the 85mm lens. But, some of the portrait photos were taken with the Sony 16-35mm G-Master for some added variety. The first photo here is taken at the Brooklyn Bridge during sunrise, however, due to the overcast weather there wasn’t really a sunrise. However this lighting was perfect for the moody portrait tones! Photo below captured by @jmacdonaldd. Here is a portrait photo I took of Joey in front of an old Mercedes Benz. 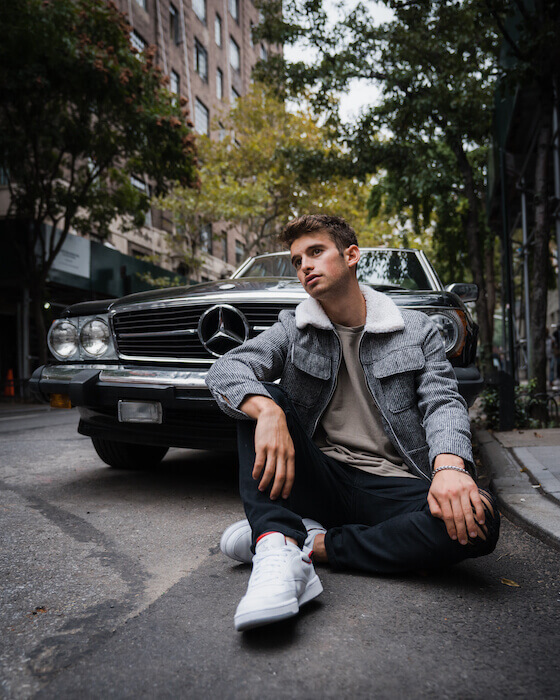 We spotted this old grey Mercedes in Soho and with the overcast sky and the grey jacket Joey had on, the tones for some perfect portrait photos. I used the Sony 16-35mm to be able to capture the car and trees in the back as well. This last portrait is a photo at the PUBLIC hotel with the escalators in the lobby. Although, I silhouette most of the model’s face and torso, the subtle light revealing part of the face made the photo perfect. The orange lights in the escalators produced a cool environment and this is where the 24mm Sigma shot wide open at 1.4 came in handy. Lifestyle photography is what I enjoy shooting the most. I didn’t get as much of the typical NYC lifestyle in these photos, but I made an effort to capture a New York City vibe. I tried to incorporate the outfits with the Manhattan environment to achieve this vibe. I’ve included a photo set I captured of Joey Kidney in NYC. These images could also be categorized under urban portrait photography. But, I’d like to think that there’s some lifestyle shots included. 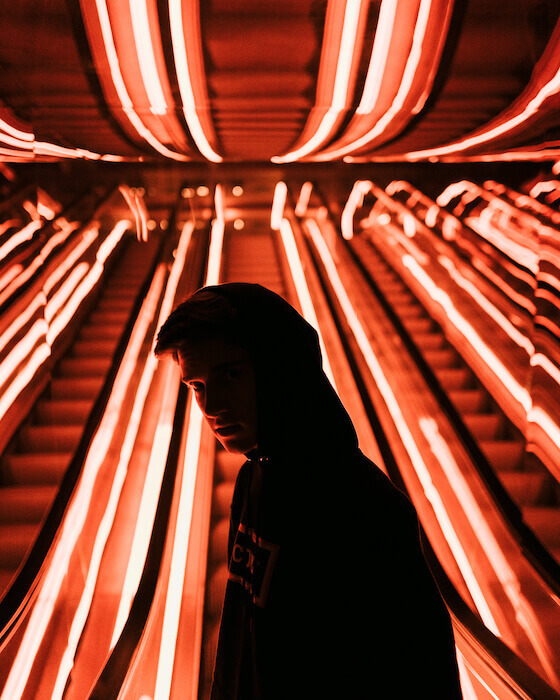 Joey is a YouTuber with almost 700 thousand subscribers on YouTube, but he is also a great photographer where you can check his work out on @takenbyjoey. With the amount of photographers that we had on this trip, Joey was mainly the model. We helped Joey record a video for his channel along with a short teaser video for his vlog channel. The video is titled “My ex chooses my outfits” and we filmed New York B-roll of Joey in his outfits. You can check out the video below! New York was hands down one of my favorite trips this year. The photos taken from the squad were amazing and I’m pumped for the next trip! I want to give a special thanks to Izzy and the team at B&H Photo and Video for taking us all out to lunch and for providing us with the equipment to create these visuals. B&H has always had a great reputation internationally and we got to see it first hand in New York. Also do yourself a favour and please visit the B&H Photo & Video storefront while you’re in the city. Trust me, you won’t be disappointed with the shop! 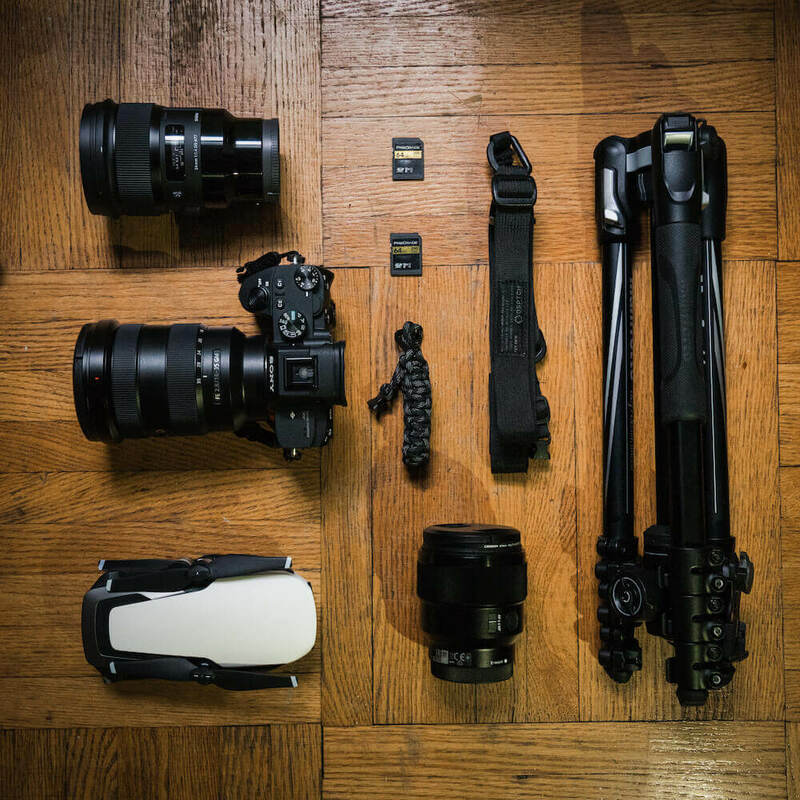 What gear would you bring to New York City? Would love to hear the urban photography gear that you all currently have or want! Leave a comment down below and let me know!